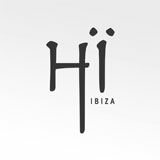 Armin van Buuren and Sunnery James & Ryan Marciano return to Ibiza with an spectacular 14 weeks residency at Hï Ibiza! After an incredible season in 2018, Armin va Buuren is back to Hï Ibiza every Wednesday from 12th June to 11th September (except 14th and 21st August). Armin van Buuren will be the star of the Theatre (Room 1) and the duo Sunnery James & Ryan Marciano will be taking over the Club (Room 2) every night. Joining the resident DJs every night will be some of the best artists still to be confirmed. Aly & Fila, Andrew Rayel, Dirty South, Fedde Le Grand, Lost Frequencies, Mark Knight, Markus Schulz, Roger Sanchez, Sander van Doorn and Vini Vici, Above & Beyond, EDX and Chus+Ceballos were some of the DJs that took part of the show in 2018 so expect the same 5-star lineup this summer. Armin van Buuren is a veteran Dj with over 20 years experience behind decks and nowadays is one of the best international producers. Considered as the King of the Trance, he has been ranked the No. 1 DJ by DJ Mag a record of five times, four years in a row. 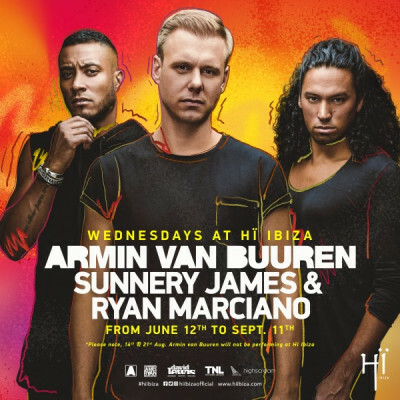 Armin van Buuren and Sunnery James & Ryan Marciano at Hï Ibiza, every Wednesday from 12th June to 11th September.